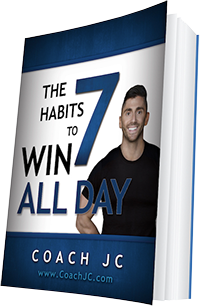 The latest WIN ALL DAY podcast is live baby! And it is straight fire. 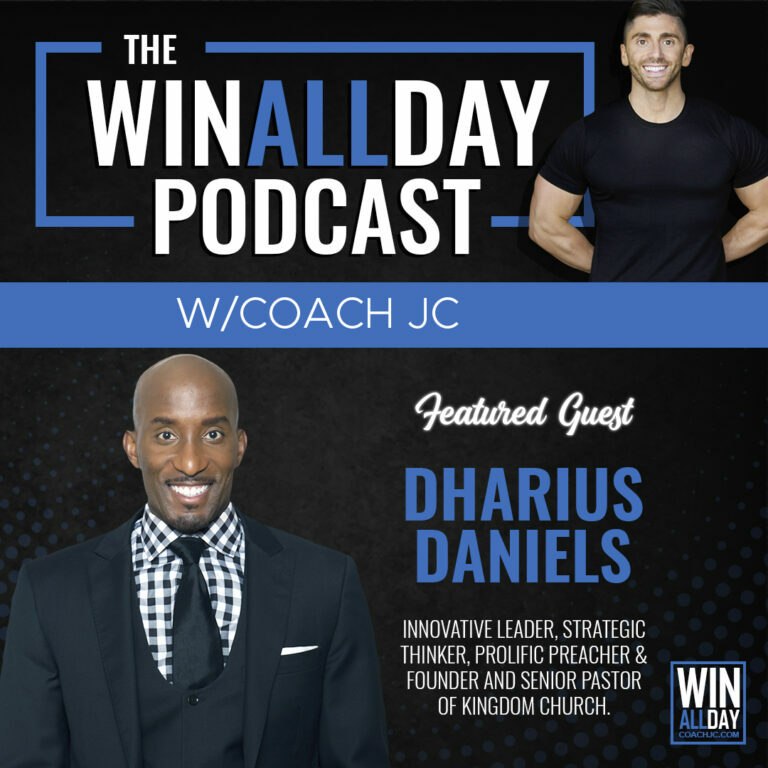 What happens when Coach JC interviews “Innovative Leader, Strategic Thinker, Prolific Preacher & Founder and Senior Pastor of Kingdom Church”, Dharius Daniels? Dharius Daniels is one of the top professional speakers and a trendsetter for our generation. Dr. Dharius Daniels is about TRANSFORMATION and is teaching and educating world wide on how to create true transformation in their life and WIN ALL DAY! I know that this episode will bless you as much as it did me to interview Dr Dharius Daniels. What happens when your life doesn’t end up how you thought it should of? What happens when you you get denied? What happens when you get rejected in life? 1️⃣ “Rejection Is Direction” – A closed door is a gift for you to keep you from walking into the wrong room. 2️⃣ How To Create “Reframing” In Your Life to overcome and create a new story in life. 3️⃣How To Interpret The Events In Your Life – It’s not what happens to you but about the story you tell yourself. 4️⃣ How Overcome Pity – To look at your options and make a real decision in life by asking the right questions. 6️⃣How Your Decisions Determine Your Destiny – not someone elses decisions. 7️⃣ Your greatest burden can become your greatest blessing in life. PS. Dr. Dharius is a prolific teacher and educator. If you want to create true transformation in life get over to YouTube and look up Dr. Dharius Daniels videos baby!